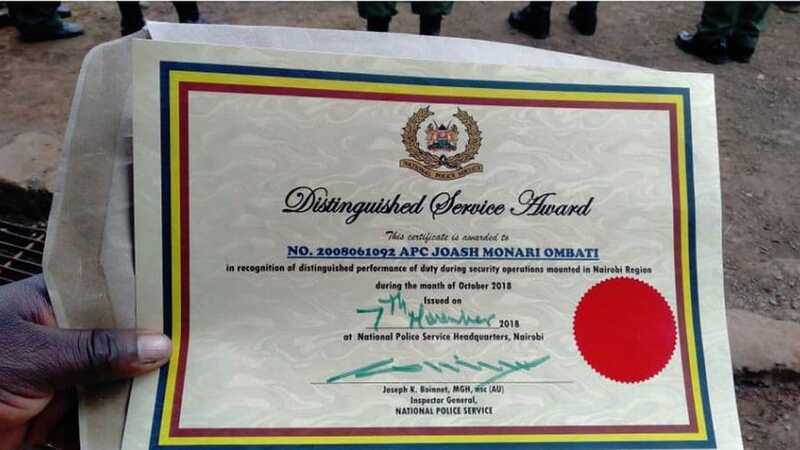 The government has recognized Constable Joash Ombati for distinguished service. He was awarded for his brave act in October where he chased robbers in Nairobi’s Westlands area. Ombati chased two men; Sameer Kassim and Peter Musili who had taken Sh400,000 from an unsuspecting buyer. On Friday he was handed a certificate by Interior CS Fred Matiang’i at the DO’s office in Westlands. “We are giving you this certificate because we are very proud of you. We are proud of what you did. 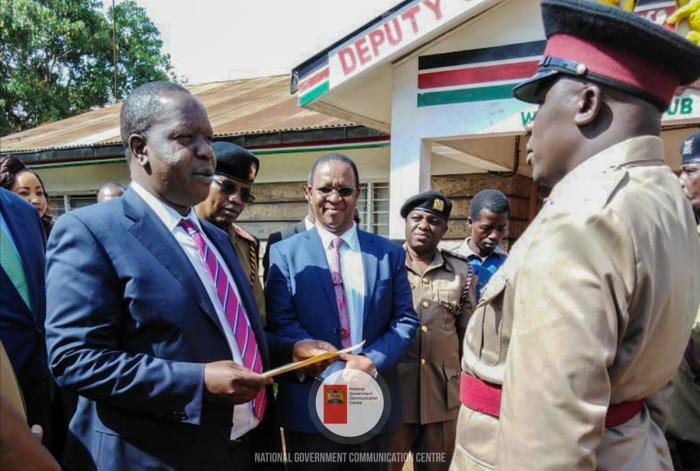 You have shown an example of how work should be done,” Matiang’i said. A video of Ombati arresting the robbers went viral on social media. In March, he was the officer, who together with another, noticed a commotion in a matatu that was heading to Kangemi, Nairobi, and swung into action saving over 50 passengers from three armed robbers. They recovered two pistols with two rounds of ammunition. Some time last month he recovered a sack of cannabis sativa worth Sh2 million and arrested the suspects.